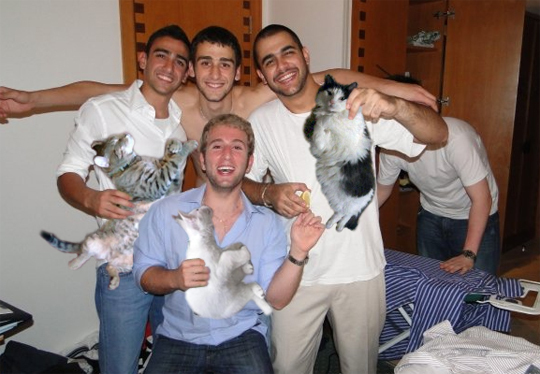 These guys are getting ready for a big night out by posing with some Boozecats. The guy in the back is quite the anti-social jerk though. Who can't take a second out of their ironing schedule to hold a Boozecat? Lighten up back there. I'm also glad to see the slice of lemon. You don't want your Boozecats getting scurvy.